. : TP :. .: Printed Packaging Tape :. Our motto sums up the way we do business and the reason for our success. 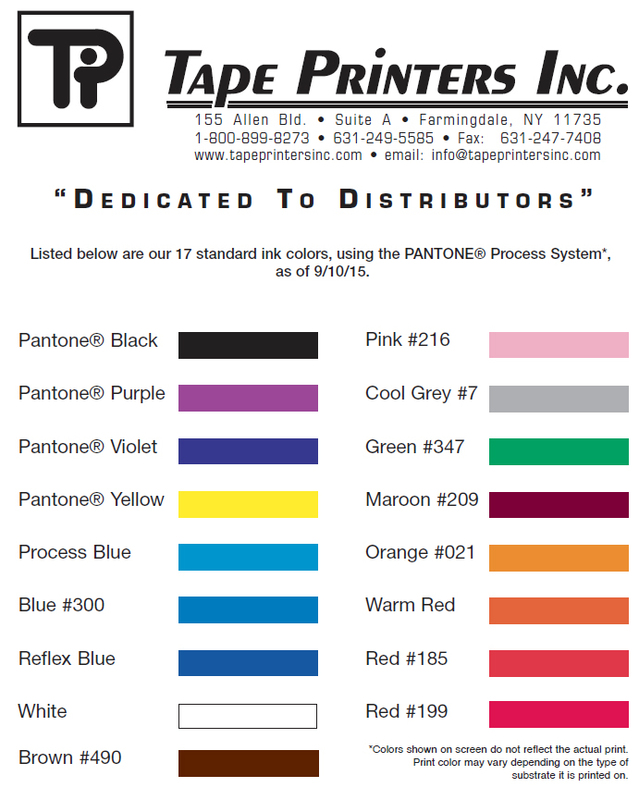 By building loyal relationships within the industry and providing quality products, we maintain a network of distributors nationwide who depend on us for all their printed tape needs. Our steadfast dedication to that philosophy is the reason that our partnerships are profitable; both for us and for those we serve. We feel strongly that custom printed tapes are viable and profitable products that should be discussed whenever you make a sales call. Companies are sealing their boxes with tape so why not offer the idea of advertising themselves on the tape as well? 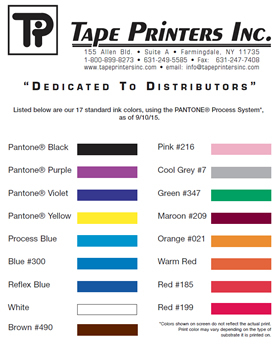 Custom printed tapes provide a dual role; sealing a box and advertising their company, product or message! Printed tapes can also contain tamper evident messages that can help prevent pilferage. Let us help bring value to a commodity item by printing your customers’ names on their carton sealing tape and they will feel you’ve provided them with more value than just another disposable item. Introducing a New Product to our line: Cold Temperature Tape. Performs under cold temps AND on recycled corrugated.